Dr. Ramillosa has been private practice in Salem, Oregon for 14 years. He takes the time to provide the most gentle and compassionate dental care. It is his personal goal to alleviate anxiety and fear associated with dentistry. He has implemented state of the art equipment into his practice including digital x-rays and imaging, laser caries detection, and laser gum treatment. He has completed training in the treatment of obstructive sleep apnea with the use of oral appliances . 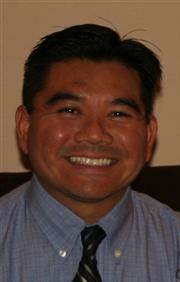 Dr. Ramillosa graduated from Loma Linda University School of Dentistry in 1998. During his dental education, he received scholarships from the California Dental Association and the U.S. Air Force. Upon graduation, he furthered his education through the U.S. Air Force General Dentistry Residency. After completion of his residency, Dr. Ramillosa served as a Captain and dentist in the U.S. Air Force at Laughlin Air Force Base in Texas. Dr. Ramillosa came to settle in the beautiful Northwest in 2001. Dr. Ramillosa stays active coaching football, baseball, and softball. In his free time he enjoys playing softball, reading, and school and family activities. He is a huge Chicago Cubs and Chicago Bears fan and is waiting for the Cubs to break through and win the World Series for the first time in over 100 years. Dr. Ramillosa takes the time to talk to each patient to help them better understand their dental condition. He feels he has assembled the best team to achieve his goal of making every dental visit better than the last. Dr. Ramillosa and his team look forward to providing your family with the gentle, compassionate dental care.